If 2 large manufacturers of the cycling industry are cooperating, you can expect a great product. The FSA Powerbox Alloy is an aluminium crank with power meter that measures your power on the spider. The spider is the part of the crank set where the chainrings and the axle are put together. 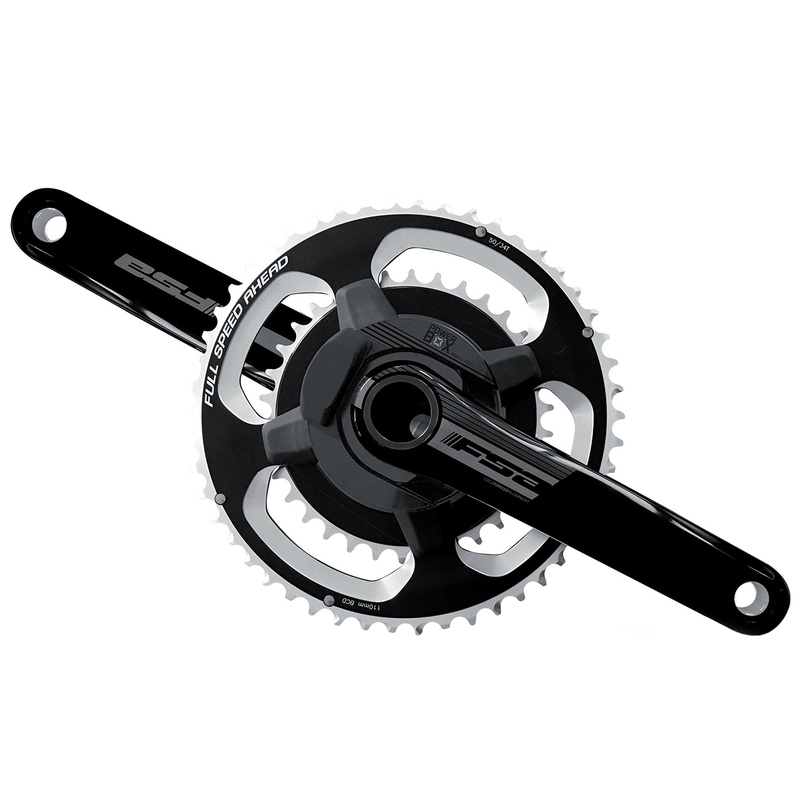 The FSA Powerbox Alloy crankset is easy to use. Just start pedalling and it works. The Powerbox measures both your power and cadence accurately, without needing a magnet. The 110mm thru-alxe with 4 attachment points makes it easy to change the chainrings and get back on your bicycle without calibrating. The battery will last approx. 300-400 hours. It is easy to replace yourself, luckily you don’t have to send it to the manufacturer which often is the case with other power meters, saving you time and money. The FSA Powerbox Alloy is also resistant to extreme weather conditions, and will remain extremely accurate. The FSA Powerbox Alloy transmits the data to your cycling computer via ANT+. The total weight, measured by FSA, is 751g.